Part of the ancestral traditions that Despierta America will come across are those of the Huichol Community in Nayarit. Their are communities of Huichol spread across various regions of Mexico, but the homeland of the Huichols is in Nayarit- and is remote. It is found mostly between the states of Jalisco and Nayarit in hard to reach parts of the Sierra Madre Mountains. Thanks to a certain level of isolation, the Huichol community has been able to keep their culture intact. It's said that as a result, their art, which is based on their religion, has been preserved to perfection. 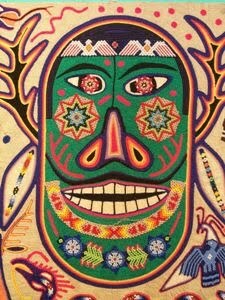 Read this article to find out more on the Huichol people and what you can learn from this culture.